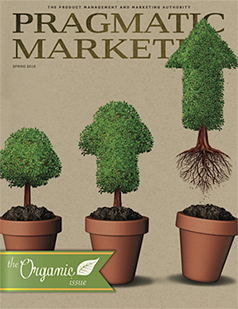 Organically grow your business. 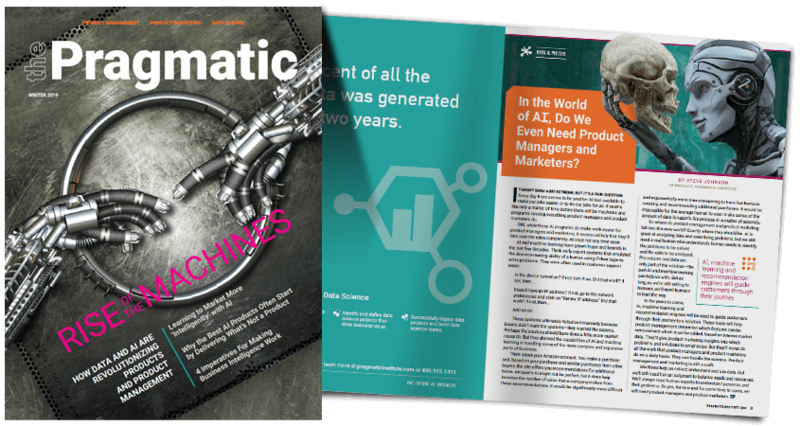 Find out how you can leverage the products, organizations, processes and customers that you already have in place to drive growth in this issue of Pragmatic Marketer. Separate fact from fantasy. 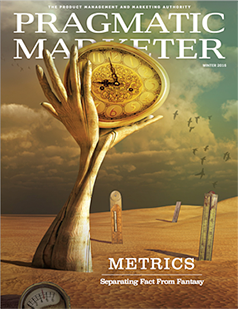 Learn how to sift through a mountain of collected data to discover the metrics that are meaningful to your business in this issue of Pragmatic Marketer. Become a mind reader. 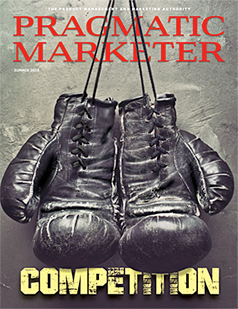 Learn tips and tricks for getting inside the minds of your buyers in this issue of Pragmatic Marketer. 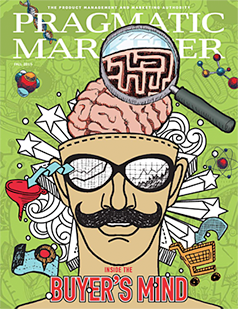 Design matters: Design involves much more than a product's look and feel; it drives the power of the user experience and helps customers solve problems in ways they never imagined were possible. 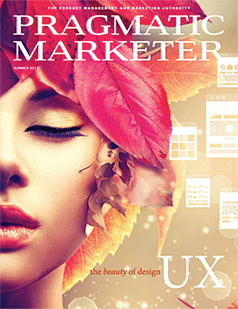 Explore the power and beauty of UX in this issue of Pragmatic Marketer. Are you leaving money or deals on the table? 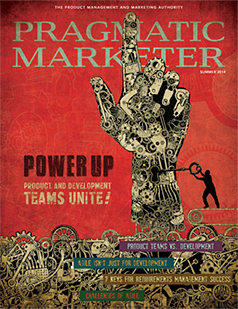 Take the guesswork out of your product pricing by exploring all things price related in this issue of Pragmatic Marketer. 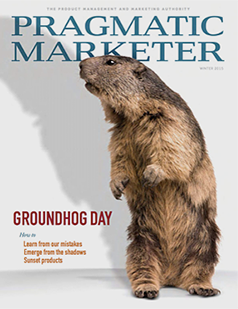 Lessons of the groundhog: Discover how to learn from your mistakes, emerge from the shadows into the spotlight and successfully sunset products in this issue of Pragmatic Marketer. Banish that creeping sense of doom. 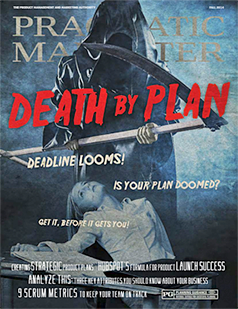 Whether we develop launch plans or business plans, product plans or go-to-market plans, we've all watched a project fall apart. 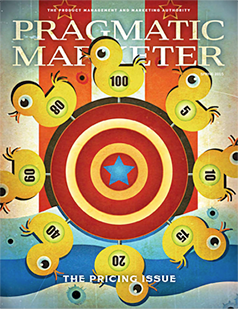 Luckily, this issue of Pragmatic Marketer provides practical tools and tips to help you avoid common plan pitfalls and project killers.